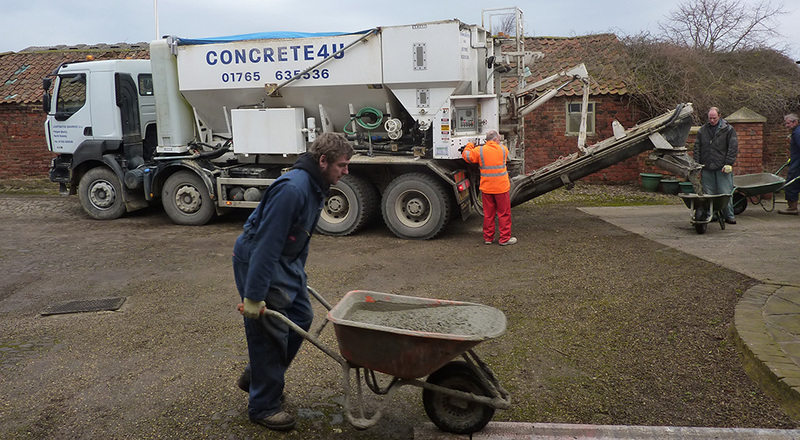 Looking for Concrete Helperby & Surrounding Areas? This means there is no wasted or returned concrete so we can keep our costs low. This way of doing things is also very beneficial to the environment as there are no wasted journeys, using less fuel. We will bring 2 wheelbarrows for you to use, but please make sure you have a couple of willing hands to push them! We can also do more than one kind of mix on the same visit. 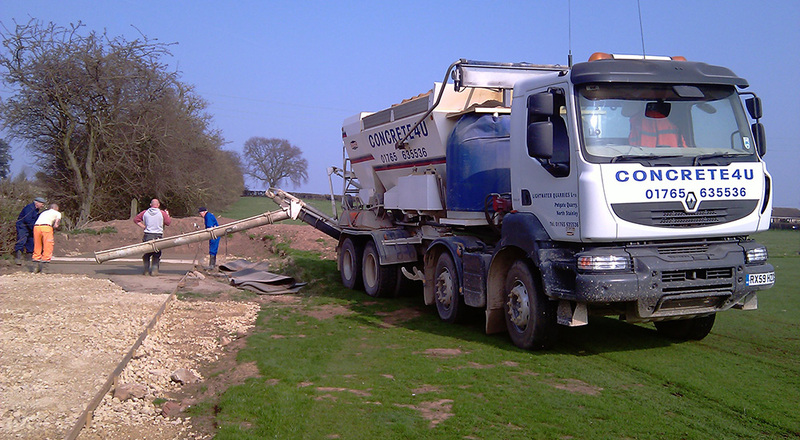 We can supply pumpable and reinforced concrete. All our concrete is made using local stone and pure Portland Cement. Want to know more about Concrete Helperby? We can do out of hours, nights and weekends in and around Helperby. Get in touch for more information or to book.